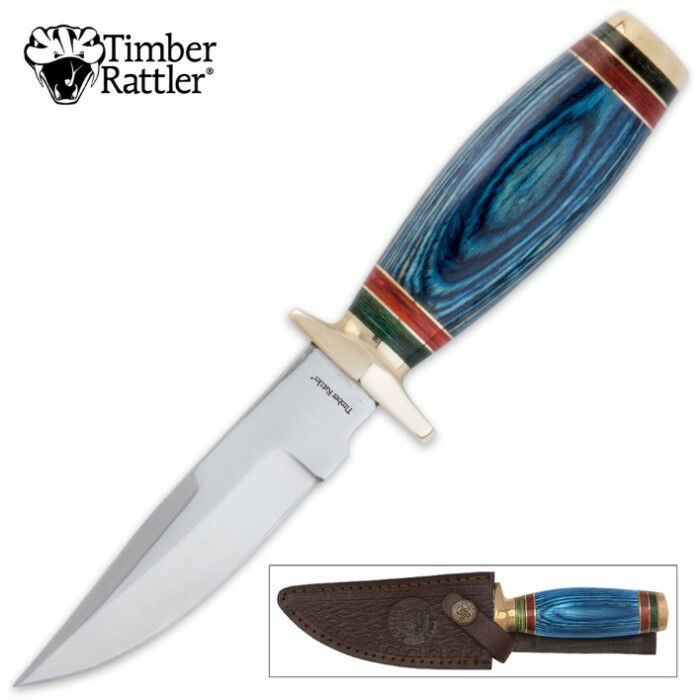 Timber Rattler Rivers Edge Saddle Knife | BUDK.com - Knives & Swords At The Lowest Prices! Need a compact knife that still gets the job done? 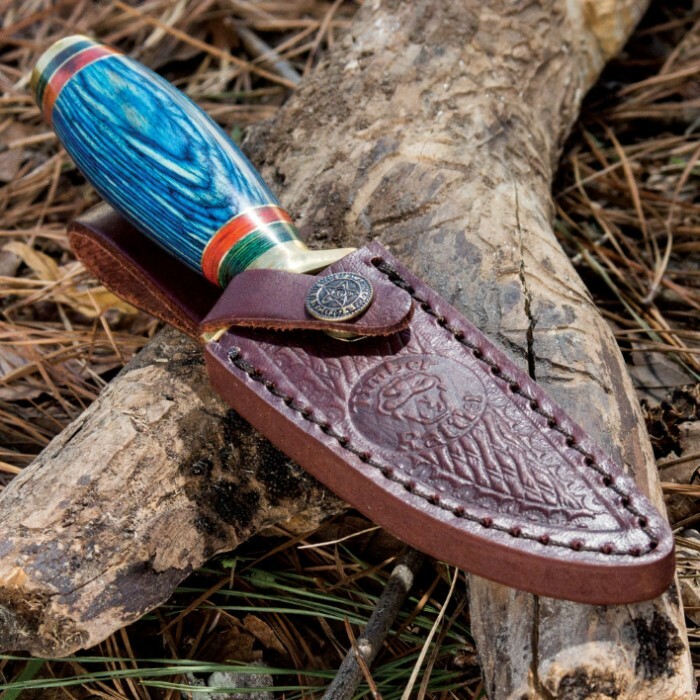 You need a saddle knife and this Timber Rattler River's Edge saddle knife is perfect for you. Excellent little belt knife! Did not arrive razor sharp but some honing took care of that. Well constructed and the Sheath is made good. Will order more Rattlers. Nice general purpose belt knife. A "friendly" size, useful but not intimidating to use anywhere. Seems sturdy and well made. Handle is a secure feeling hand full. I bought two of these. My wife loved hers right out of the box. Can't be beat for twice the price but I loved this deal. I bought this for my step father and as soon as I got it , it was awesome to look at. The reason I gave it four stars not five was because the handle sticks out awkwardly from the sheath. But other than that it was great and came razor sharp and pointy out of the box. Thanks budk.com. I just got this knife in the mail today. I'm kind of disappointed with it. It seems like this knife is built fairly well. The blade was thick enough. 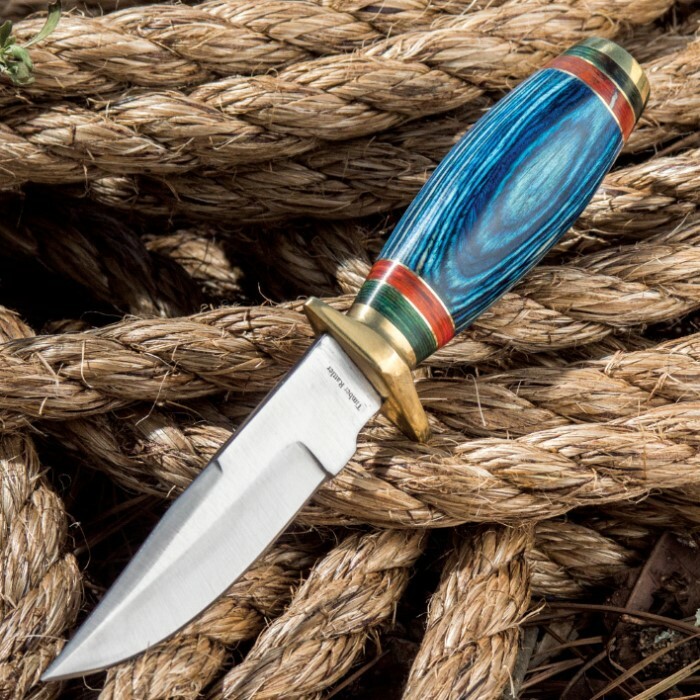 The blue pakkawood handle is good looking, if a bit on the heavy side. The blade is just the right size(if you don't need a big knife), but here's my problem with this knife: my knife did not come with a sharp, pointy tip. The tip on my knife was dull and not pointy. The blade says "Surgical Steel" on it along with "PAKISTAN". This knife comes with a nice brown leather sheath. This knife is decent, but it needs to come with a sharp, pointy tip.